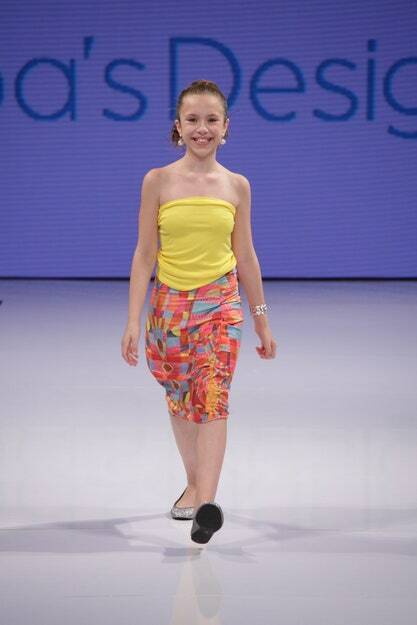 “I’ve always loved fashion, I was always designing [when I was younger],” Noa told* Glamour* after she presented her first-ever fashion show at L.A. Fashion Week on Tuesday. 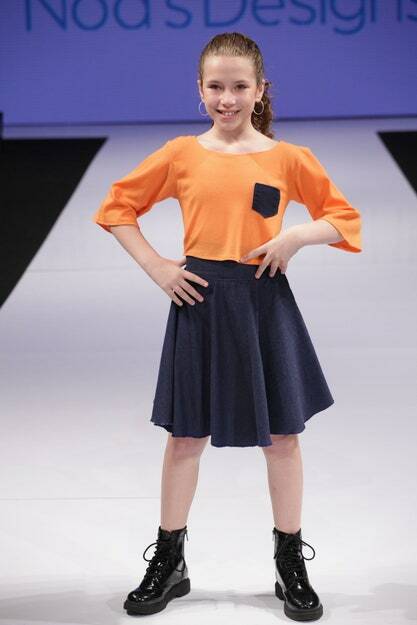 The newly minted designer showed 10 looks, worn by professional child models at a program attended by the likes of* Project Runway All-Stars* host Alyssa Milano (one of Sorrell’s favorite shows). While she’s not expanding to retail quite yet, she’s taking personal orders from her girlfriends at school. “I’m not selling anything right now, but I really want to see people wearing my clothes.” To wit: She’s making her friend reversible tank tops, upon request, of course. 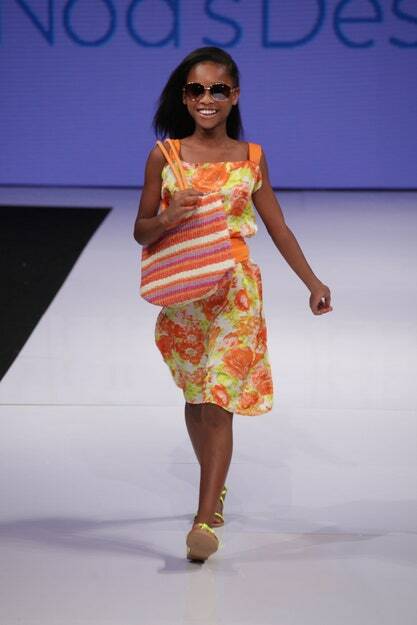 Glamour gives the collection two enthusiastic thumbs-up! 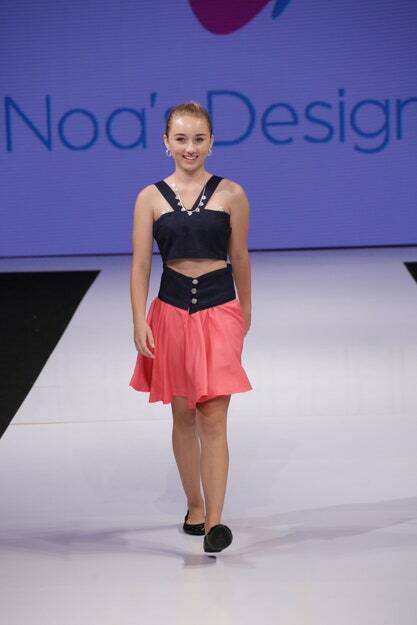 Take a look at all the styles in Noa’s collection and let us know what you think! And here’s Noa taking her bow! Congrats, Noa!